Are you thinking about majoring in music? Do you want to become more proficient on your instrument or voice? Or do you want to prepare for auditions? Summer music programs will help with all of that. Visit the camps and programs on this page to learn more. This list is updated through spring 2019, so check back often. 2. Guidance for students and parents: How to Choose a Summer Music Program. 3. Job opportunities for college students: Summer Jobs Section. Focus: 3-week summer initiative connecting aspiring and professional artists with Armenia’s rich musical heritage. Focus: Three-week opera study for undergraduates and recent graduates. Voice major not required. Focus: Orchestra, vocal, piano, saxophone, conducting, composition, chamber music. Focus: Four-week intensive opera training program in Tuscany for pre-professional singers. Includes private lessons, coaching, master classes, language study, performance. Two fully-staged operas, also opera scenes performance. Focus: Music programs abroad; all instruments and areas of study. Focus: Applied music – performance, orchestral conducting, audition training, concerto competition. Strings, woodwinds, brass, percussion, harp. Focus: Intensive orchestral program: strings, woodwinds, brass, percussion, harp, piano. Chamber music, concerto competition, conducting residencies, lessons, master classes. VSO in residence during Institute. 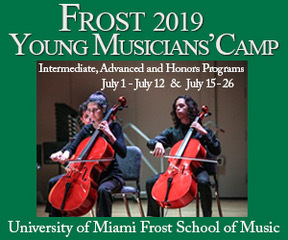 Focus: Two-week intensive summer program for violin, viola, cello, piano – chamber music combined with 5 competitions featuring substantial awards. Focus: Auditions, careers, masterclasses, performances, electives, piano, voice, brass, woodwinds, strings, percussion. Focus: Band, choir, ensembles, masterclasses, electives, performances, voice, brass, woodwinds, percussion, leadership. Focus: Experimental chamber music for ages 14-17. All instruments can apply. Focus: Jazz, classical, symphony orchestra, wind symphony, band, piano performance, songwriting, choral music. Focus: Eight-day jazz immersion program for instrumentalists, vocalists and dancers of all skill levels. Workshops, personalized instruction, student performances, faculty concerts, late night jams and Jazz Camp’s signature Piano, Guitar and Vocal Intensive. New this year: String Program. Focus: Composition Workshop; Gilbert and Sullivan Scenes (singing, acting and stage movement for ages 10-18). Focus: Music; also art history and film. 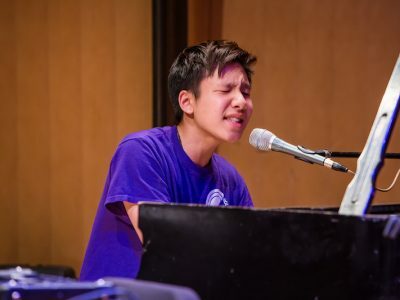 Focus: Brubeck Institute Jazz Camp; Pacific Music Business Camp; Senior Band, Orchestra, Choir Camp; Pacific Music Theatre Camp; Senior Piano Camp. Focus: Small group/improv and big band focus, plus master classes, jam sessions, workshops, performances, activities for high school musicians. Horns, drums, piano, guitar, bass, vibes. Focus: Marching band, clarinet, percussion, organ, piano. Focus: Songwriting, composition, performance, film, the role of empathy in the arts. Focus: Students will work in our recording studios to learn audio production and Ableton Live. Focus: Music Industry – singer/songwriter, recording arts, music business, performance/ensembles. Electives, ensembles, private lessons, guest artists, field trips, concerts. Focus: Private Lessons; Master Classes; Chamber Ensembles; Orchestra; Wind Ensemble; Choir; Flex Jazz Ensemble; Music Theatre; Steel Drum Ensemble; Digital Music Making; Conducting; Theory; Collaborative Piano; Alexander Technique; Diction for Singers; Composers’ New Music Workshop; Concerto/Aria Competition. Recreational activities, recitals. Focus: Brass, chamber music, performance, career development. Focus: violin, viola, cello, bass, flute, oboe, clarinet, bassoon, horn, piano, voice, orchestra, chamber, jazz. Focus: High School Summer Music Academy (band, strings, piano); Summer Jazz Academy. Focus: Meet the Masters jazz instrumental + vocal; Vocal Audition Advantage; Young Composers Project – composing for film. Dates: Vary by program, between end of June through mid-August. Focus: Band Camp, Choral Ensemble Camp, Double Bass Workshop, Guitar Workshop, Honors Chamber Winds Camp, Jazz Ensemble, Marching Band Leadership Camp, Piano Camp, Piano Institute, String Orchestra Camp, Tuba and Euphonium Workshop. Focus: Classical, jazz, rock, musical theater, voice, contemporary voice, jazz voice, composition, songwriting. Focus: Orchestra, chamber music, flute workshop, jazz, choral, opera. Focus: Hip hop (Music Alive); A Cappella. Focus: Voice, violin, trombone, guitar, conducting. Focus: Vocals, brass, strings, percussion, chamber, choral, piano, woodwind, world music, music history. Focus: Bass Camp (upright); Big-Band Workshop (18+); Jazz Camp (instrumental, vocal); Percussion Camp; Piano Camp; Snare and Tenor Camp; String Scholars Camp; Woodwind Camp. Focus: Voice, classical, musical theatre. Focus: Summer Music Academies and Workshops for Piano, Strings, Saxophone, Percussion, Organ, and College Audition Preparation. Focus: Bassoon, Cello, Clarinet, Composition, Double Bass, Euphonium, Flute, Horn, Oboe, Organ, Percussion, Piano, Saxophone, Trombone, Trumpet, Viola, Violin and Voice. Focus: Summer Guitar Intensive; Glissando Summer Harp Festival; Peabody Piano Week; Chamber Week; Classical Singers Workshop; Summer Vocal Academy; Creative Composition and Improvisation Intensive. Focus: Music performance; music production; songwriting and composition; music business; musical theater; opera. All instruments, the full breadth of the music industry, and a range of styles from classical to contemporary. Programs for high school, college, middle school. Focus: Alexander Technique Summer Intensive; Opera (see International listing). Focus: El Sistema Summer Academy for young musicians from El Sistema-inspired programs; Music for Healing and Transition Program; Dalcroze Summer Institute; Divergent Studio (chamber music, composition). Focus: 5-week boarding program, ages 13-17, daily classes in acting, musical theater, dance and opportunities to perform. Focus: Multi-week programs in orchestra and wind symphony; advanced string quartet; harp; composition; organ; piano; voice; jazz; rock; singer-songwriter; musical theatre. 1-week institutes in strings; woodwinds; brass; percussion; piano; musical theatre. Focus: Musical theatre, theatre & drama, dance, flute, harp, clarinet, trumpet, saxophone, double bass, jazz, violin, cello, viola, vocal arts. Focus: Graduate-level Kodály music education training for teachers. Focus: Chamber music; Music Theory and Ear Training Bootcamp; Summer Jazz Institute; Symphonic Wind Band and Chamber Music Camp; Oboe Reed Making Intensive. Focus: full day camp, instruction on piano, violin, viola, cello, double bass, guitar, voice, clarinet, saxophone, trombone, composition, percussion. Focus: Musical theatre; vocals; orchestra; jazz; rock and roll. Full camp setting includes water + other sports; dance; art; theatre; circus; magic. 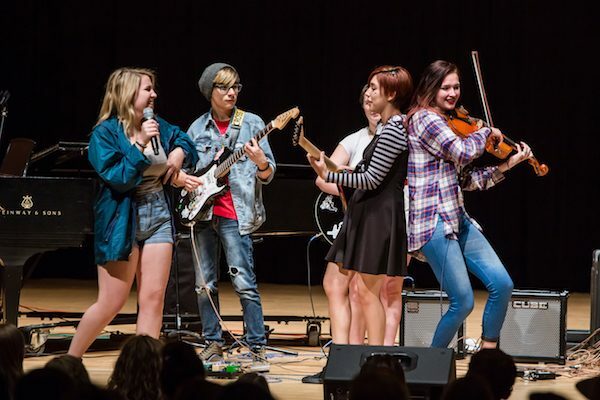 Focus: Vocal and instrumental camp and rock camp with traditional camp activities. Focus: Chamber ensembles, coaching, sight-reading, master classes, jam sessions. Focus: Musical theatre & classical voice; composition, instrumental, & jazz voice. Focus: On-campus, residential programs: Classical (Music Horizons); Jazz (Summer Jazz Studies); Cello Institute; Flute Masterclass; Saxophone Institute; Eastman Saxophone Project (ESP) Institute; Trombone Institute; Trumpet Institute; French Horn Institute; Organ Academy. All include lessons, theory, master classes, more. Focus: Acting & musical theatre; sound engineering & audio production. 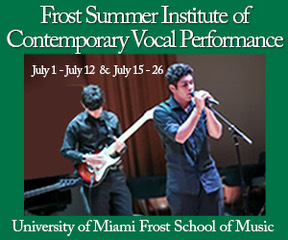 Focus: 10-day intensive program for high school students considering studying music in college. Work with faculty and members of the Cleveland Orchestra. Institutes include: Strings, Choral, Keyboard, Wind and Percussion. Focus: Strings, vocal, double reed, percussion, saxophone, brass, musical theatre, piano camp. Study with BGSU faculty, guest artists, and experienced college students. For middle and high school students. Focus: Baroque Perforomance Institute; Flute Academy; Percussion Institute; Sonic Arts Workshop; Trumpet Workshop; Vocal Academy; Young Composers Workshop. Focus: High School Arts Immersion; FortiCCMo Piano Workshop; Jazz Academy; Musical Theatre Workshop; Voice Workshop. Focus: Immersion in a conservatory environment similar to freshman year. Instrumental, vocal, composition. Lessons, coaching, audition prep. Focus: Summer Jazz Experience; Music Technology Summer Intensive; Steel City Brass Camp; Violin and Viola Boot Camp. Focus: Concert band, string ensemble, choir, jazz, rock, blues ensemble. Focus: Chamber Choir, jazz combo, wind ensembles, piano, music technology. Focus: Symphony orchestra, chamber music, solo performance, piano studies, music theatre, opera, college audition preparation program. Focus: Rigorous piano program; lessons, master classes, piano competition. Focus: Strings Camp (classical, jazz, rock, Celtic, swing, bluegrass); Winds Band Camp (wind symphony, symphonic band, jazz ensemble, chamber music); Vocal Arts (solo and choral); piano camp (classical or jazz). Focus: Band rehearsals, sectionals, private lessons, musicianship, recreation activities. Jazz track option. Focus: Beginner through advanced instruction in bluegrass and old time: fiddle, banjo, flatpicking guitar, fingerstyle guitar, old time singing, bluegrass singing, bass mandolin, resophonic guitar, songwriting, ukulele, hammered dulcimer, mountain dulcimer. Focus: Camp: Band (high school or middle school); choir; percussion. Workshops: clarinet; flute; harp; saxophone; strings. Focus: Instructional institutes in voice, flute or jazz for high school and middle school held at University of Houston Moores School of Music. Dates: Vary by program, all in June. Focus: Vocal training, musical theatre, classical voice, audition techniques. Focus: Classical training, pre-college/university division/fellowship. Focus: Small groups and large ensembles, master classes, final performance. Focus: Musical Theatre; Piano Camp; Summer Chamber Music; Band Camp. Focus: Music, theatre and visual arts. First, answer these 6 questions. Then read “Advantages of Different Programs” (below). Now you’re ready to look at all of these programs and see which ones match your criteria to help you choose the best music program for you. 1. What do you want to gain from a summer music program? Where in the U.S. – or world? 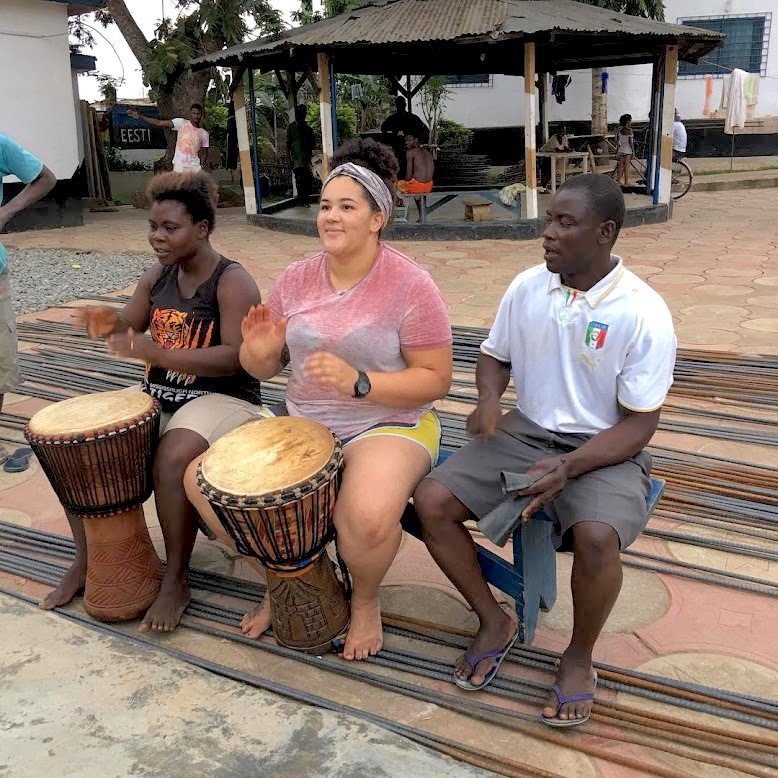 Cultural experience + a summer music program? Commuter vs. living at the camp or program? Learn more about a specific college or conservatory while studying music? 4. What’s your current proficiency level? Willing to audition to be accepted? How long of a program are you able and willing to commit to? There are a variety of types of summer music programs to consider. Some of these overlap in what they offer. Get lessons, practice, and performance opportunities in a well-rounded summer experience. Meet other musicians wanting a strong music program within a full camp experience. Participate in traditional camp activities: water and land sports, hiking, social events, overnight excursions, crafts, etc. Experience the campus, faculty, and dorms at a school where you might apply. Take lessons from faculty you may end up studying with. Meet students who may also end up applying to the school. Experience the location – how do you like the area? Would it work to be there for four years? Gain college planning and audition skills. Immerse yourself in your area of musical focus and passion. Meet lifelong friends and mentors in your field. Meet faculty who perform all over the world as well as a select group of students with shared interests. If housed on a college campus, see #2 above. Discover how a different culture informs your playing or singing, your compositions and your arrangements. Meet mentors and fellow students from around the world. Contact these programs to learn more about summer jobs. New opportunities will be added throughout the winter and into the spring. 2nd photo from top – courtesy of Performing Arts Abroad. This is perfect for me because I LOVE music with a passion but, I need to work on writing my own songs. I love all these opportunities. So, can you take a summer music program outside of your state if desired? Or does that vary from school to school? Absolutely! It really all depends on you – what kind of program you’re looking for, where you want to be geographically, whether you can afford out-of-state programs. I play Tuba and I really want to be in a summer program where I’ll be able to play a lot better and learn more about music. Currently a sophomore in college majoring in music ed and I feel like I should learn new things outside of home so I can come back with a motivated mind set. I am 19 and am a freshman. I’ve played guitar for 8 years, drums for 4, but have only studied with a teacher for the last three months. How much skill is required to enter most summer music programs for drums? I’ve played rock up until I switched to jazz for the last couple months. Since I’ve started studying with a teacher I’ve been practicing on average 2 – 2.5 hours everyday. Any recommended programs? Definitely worth checking with the programs you’re interested in. Explore the many options on our list of summer programs, both close to home and in other states. Make a list of those that seem to be a good fit and compare. You eventually may have to call individual programs to fully understand what they can do for you. Many offer different levels of instruction to accommodate students of varying proficiency, with the goal of helping them rise to the next level. Your commitment to practicing will help you establish a solid foundation. My 15 year old sings and writes country music, also plays guitar. Is there a camp that suits aspiring country artists? 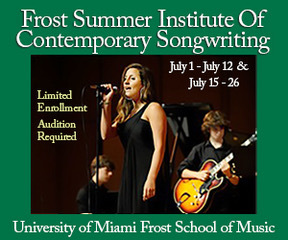 We don’t know of any country music-specific programs but we suggest you check out songwriting and summer guitar programs – the skills learned will likely serve your student even if the program doesn’t focus specifically on country music. Hello, my son will be 17 summer of 2015. He has had private lessons for about 8 years on drum set and has been playing in the schools jazz band for the last 5 years. He is looking at Berklees 5 week summer program. What are your opinions on Berklees program. He has done CWU jazz camp the last 2 summers and is really wanting an intense program going into his senior year as he will start auditioning for college. He is going to major in music performance or jazz. Rather than rank or evaluate programs, MajoringInMusic.com provides a wealth of information to empower students and parents to make smart choices and decisions based on their personal criteria. This is far more likely to result in a good fit. Look at the criteria listed on this section to get started. Our 2015 page, which will post beginning December 15, will include more detailed information. Also take a look at some of the articles under “Choosing Music Schools” – some of the same criteria apply for summer programs. My son has done the Berklee 5 week last summer as a Drum Performance major. It was overall a positive experience (he was an incoming 9th grader). He was put into two ensembles, one was not so challenging and less than stimulating, the other was with more experienced players and he found that one challenging and lots of fun. My biggest criticism was that each ensemble rehersed only twice per week. The rest of the time he was in elective classes, all important stuff (jazz history, music theory, musicianship training), but what he really wanted to do was rack up hours of ensemble experience with players that were at or above his level. He got to do this twice per week, 9 times total during the 5 weeks. That said, the experience of living in a dorm, having to advocate for himself, practice, play, etc, was amazing. I’m 19 and play piano organ and piano, but both at beginner level, in comparison to the best pianists/organists. I am DYING to study both INTENSELY over the summer. I also sing a lot and have very good choral technique but don’t have vibrato – I would also love to study voice intensely over the summer. Are there any programs that would take beginners pianists/vocalists? Every program is different – some offer beginner lessons, while others are geared toward those much higher levels of expertise. We’ll be posting the 2015 programs beginning late December, with new programs added through the spring, so check back often. Also look at programs offered by community music schools in your area – most offer programs for children and adults at all levels. My daughter plays French horn and trumpet. We are interested in a summer music camp/ program in the southern California area. This page of Summer Camps & Programs is updated starting every December, but you can get a head start by visiting any of the links/programs on the right side of this page. New programs will be added through early spring 2015! For now, look under the California listings in the right column. Hi! I’m interested in doing summer program in piano but I don’t actually have any idea about the procedure and which courses to choose since I’ve just recently starting to play. My intentions are doing a course in a good university/college in Manhattan or maybe Chicago or Boston. Can you pls suggest any also keeping in mind that I’m 15. Thanks! You’ll have lots of options. Summer programs offered on college campuses are a great way to get a taste of what a college environment is like and to familiarize yourself with a particular college setting. Pick a few programs in the list provided on this page from colleges that interest you. Get in touch with them a ask questions to start the ball rolling. And look for our 2015 page to be posted sometime in December. We suggest you consider a program that will also give you theory training, and opportunities to perform at whatever level you’re at. My daughter plays piano, drums and sings. She is just starting guitar. We are looking for an opportunity for next summer with a rock/pop emphasis. Camps are okay, but college based would be better. Suggestions. International options would be great too. She will be 15 next summer. We assume you’ve already looked at the programs offered for this past summer – many of these will be offered again next summer. We’ll post next summer’s Music Camps & Programs page in late December. Programs will be added throughout winter and early spring, so be sure to visit often. My daughter is interested in taking a term or year “away” from her high school. Do you know of schools offering music-voice-theater programs serving HS juniors? Thank you. Our first thought is to look with your daughter at the boarding arts high schools that offer programs in which she’s looking to immerse herself. They’re known for doing an excellent job of preparing students for their next steps. And she wouldn’t have to lose a year of high school since she’d be taking her academic classes there as well. Two of those schools are participating on MajoringInMusic.com so you can easily view what they offer: Interlochen Arts Academy and Walnut Hill School for the Arts. Please let them know we referred you if you do follow up. They’ll be happy to talk with you. Other options are non-residential after school programs, non-residential arts high schools, and, of course, summer programs. Love the list of possibilities! However I noticed Georgia is missing from the state listings, so I thought I would share that the University of Georgia provided a fabulous band camp experience for my daughter, an experiemced trumpet player this past summer. She will be returning next year. Thanks for your input, Theresa! Glad to hear your daughter had such a positive experience. We’ll talk with UGA about getting their program up on our summer page for 2015. My son is a high school junior and interested in studying music composition in college. He would like to attend a summer program specifically for music composition that will give him the opportunity to start composing and recording his own pieces. Do you have recommendations on any programs? Programs we work with that offer composing in the summer include: Lamont School of Music Summer Academy, Long Lake Camp, Rocky Ridge Music Center, Interlochen, The Walden School Young Musicians Program, Ithaca College Summer Music Academy, U of North Carolina School of the Arts Summer Music Programs, Cornish College of the Arts. If your son is interested in popular music and songwriting, have him check Leeds College of Music, Interlochen, U of Colorado Denver Summer Music Industry Program. My son would like to go to a residential music camp this summer. Where can I find comments or reviews by participants so that we can help him select tht one that best fits him and guide him as to what to expect? We suggest you start by looking at the various camps and programs on this page to see what interests your son. Some of their websites do have testimonials from former campers and families. You and your son can also contact any of the programs that interest him, and ask them any and all questions that aren’t already answered on their websites. Also get some names and contact information for recent attendees. Then contact the parents and see if their kids would be willing to have a conversation with your son. Remember that no two people will have the exact same reaction to a program, but you can glean good information by asking the kinds of questions that will help you both in the decision-making process. 1. Jazz in Arizona/The Nash (www.thenash.org) – look for their summer jazz programs by mid-April. 2. Community colleges in the area (Paradise Valley, Maricopa, Scottsdale). 3. Community music schools in Phoenix, such as Phoenix Center for the Arts. Also check the state-by-state list of programs on this page to also learn about excellent jazz programs outside your area. My 16 year old son would like a camp where he will get vocal and songwriting instruction. He is also interested in recording. Mostly this summer he wants to go someplace where he can grow his skills. He made the ACDA honor’s choir at the State level this year and he writes music/songs on a regular basis but he wants to be better at both. He taught himself guitar and he took piano lessons for years and does mostly improv and piano to supplement his singing now. We live in California but aren’t opposed to traveling. Any ideas? Programs we’re working with this year that offer what your son is looking for include: Idyllwild Arts (CA), Interlochen (MI), Stanford Jazz Workshop Jazz Institute (Songwriting, CA), University of the Pacific (Pacific Music Business Camp. CA), University of Colorado Summer Music Industry Program (Songwriting, CO), Cornish College of the Arts (WA). Check them out on this Summer Music Camps & Programs page! Also look into the NYU beginning and advanced summer songwriting intensives. The classes are great. My son wants to go to a music program in Italy this summer but doesn’t know any one else who wants to go with him. Can you help me think this out? Would he be better off waiting until he can maybe go with a group of students from his school? 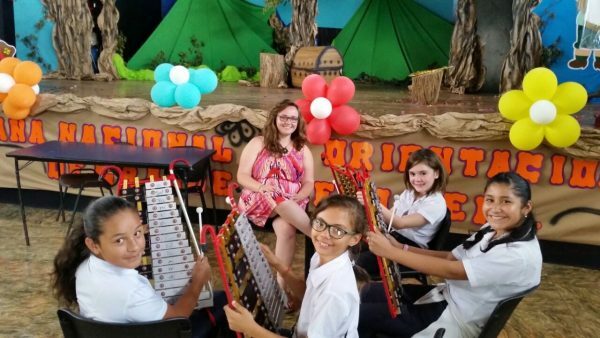 Summer music programs in other countries offer wonderful opportunities for students who are ready for them. There are some advantages to not going with a school group and your son will certainly meet people wherever he goes. Find out everything you can about supervision, lodging, language support, private instruction, cultural opportunities, etc. Ask for contact information for a few families whose children have attended the programs your son is interested in so you can get some more objective feedback about those programs. I am looking for a summer music program for my middle schooler who plays saxophone. He will be going into the 8th grade next year. I would like to find a place that is in the Southeast that also offers Graduate for musicians. I have my bachelor’s for the University of Memphis. I would like to get started on my Grad degree on saxophone. May not be possible to pull this off, but I thought I would ask. Memphis does not offer a summer program. Stay tuned for the 2014 Summer Music Camps & Programs information! Posting of programs will start mid-December and will be accessed from the homepage. And…how far are you willing/able to travel? Note that if you’re interested in blues, check out Fernando Jones’ Blues Camp for your son. He’ll bring a blues camp your way if you can facilitate the process. I know summer is almost over but maybe for next year… Summer camps other than the ones listed for a High School Student in Los Angeles? Thank you! Thanks, Andy, for your comment. If you’ll give us an idea of what type of music and what kind of programs would interest you, we’ll do our best to scout them out for next season. Hi! I was wondering what information you had on summer programs in Pennsylvania or relatively close to it. Thanks! In the state-by-state listing over on the right of this page, you’ll see excellent music programs with different focuses, in Pennsylvania (at Temple and Penn State) and surrounding states (Ohio, New York). You’ll notice that several programs are offered through the music schools and departments at universities. I am interested in summer programs in music for high school students in New York City. Any information you have would be greatly appreciated. Thank you in advance for your time. • The New York Jazz Academy (Manhattan) is a place for jazz – all instruments, all level. 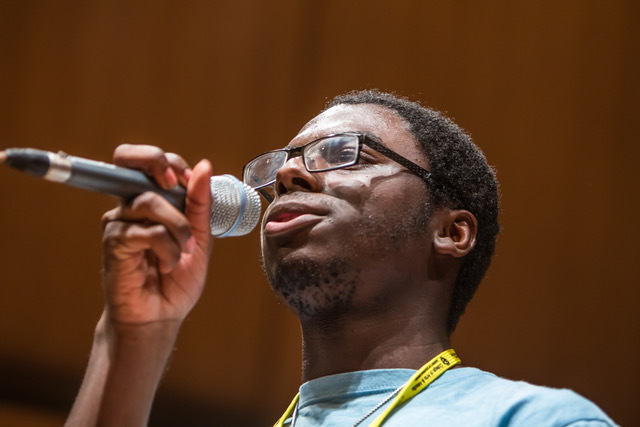 Queens College’s Aaron Copland School of Music has a great Summer Vocal Institute.